How to change or update Indusind Bank registered mobile number online: IndusInd Bank Limited is a Mumbai based Indian new generation bank, established in 1994. As on June 30, 2016, IndusInd Bank has 1,004 branches, and 1885 ATMs spread across 625 geographical locations of the country. If you are a Indusind Bank customer and want to change/update your registered mobile number without visiting branch then here we will tell you online process to change your mobile number through net banking. Make sure you have Indus net banking facility. If you don’t have this facility active then don’t worry you can activate Internet banking online using your debit card details. Enter your User ID and login password. 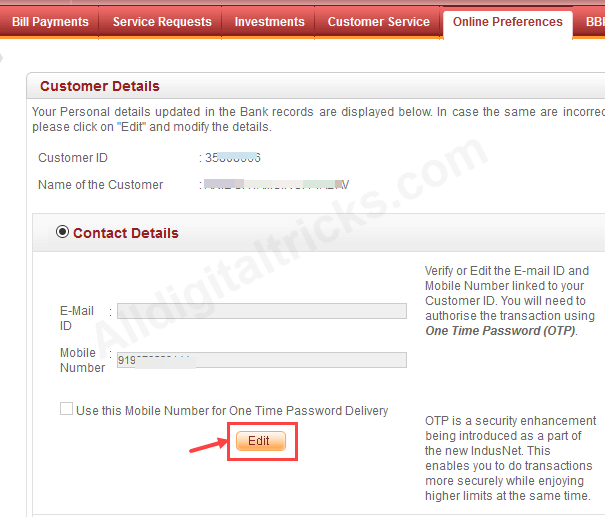 You can also login through mobile banking application without entering login password. 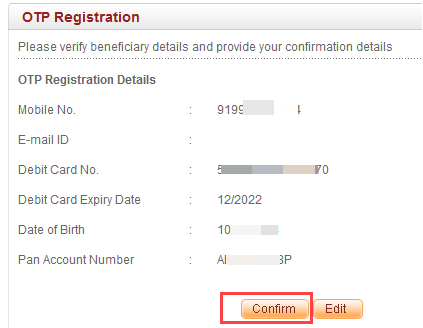 Step 2: After login first we need to register for One Time Password, it is one time registration process. 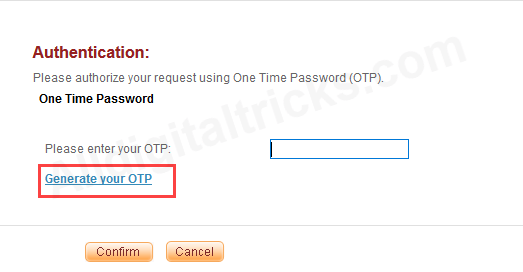 Click on Online preferences & click on Register for One Time Password (OTP). Enter your Debit card details like card number, CVV and expiry date. Enter DOB and PAN number & submit. Step 3: Next screen confirm your details and submit. That’s it you are registered for One Time password. Step 4: Now to change your mobile number, click on Online Preferences. Here you can see Contact Details option. To update mobile number click on Edit button as you can see below screenshot. Step 5: Now enter your email address and new mobile number. Now check (√) this mark “Use this mobile number for One Time password Delivery” & submit. 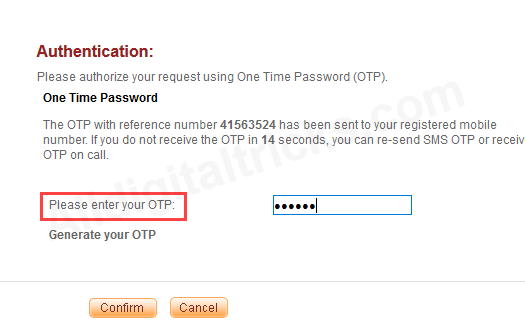 Step 6: Next screen click on Generate Your OTP. 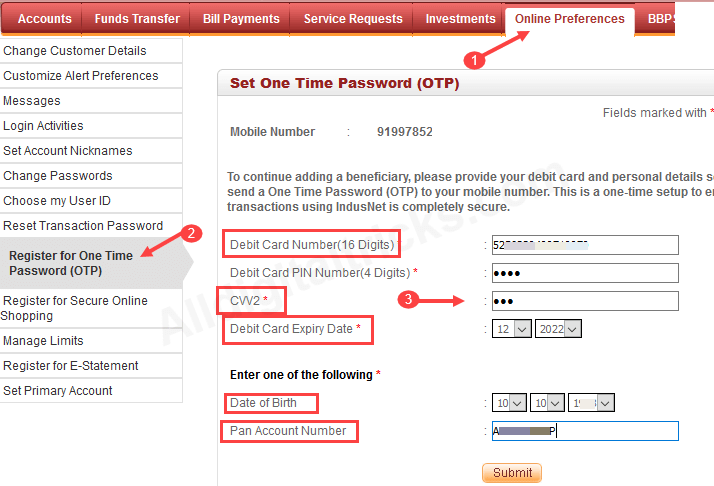 Step 7: You will receive One Time password on your current registered mobile number, enter OTP and confirm your request. Done! your request submitted successfully. It will be completed within 24 hour. 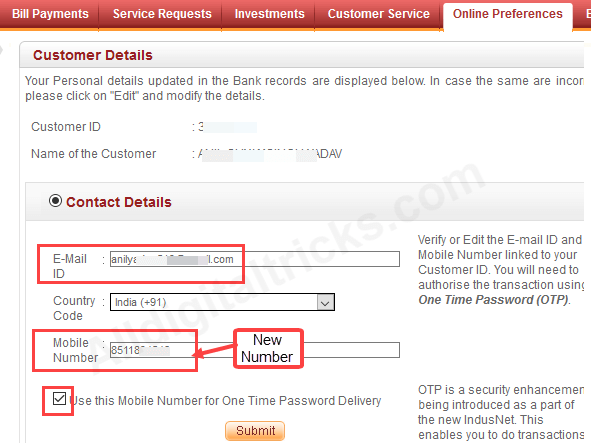 So this is how you can Change or update Indusind Bank registered mobile number online through net banking. You will receive OTP and other notification on your new number after 24 hours.